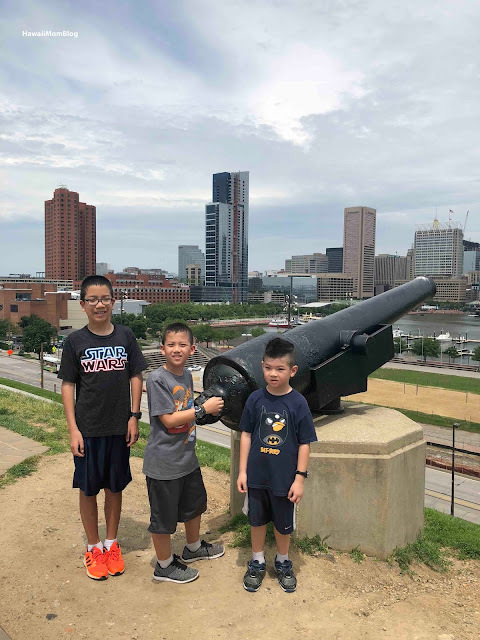 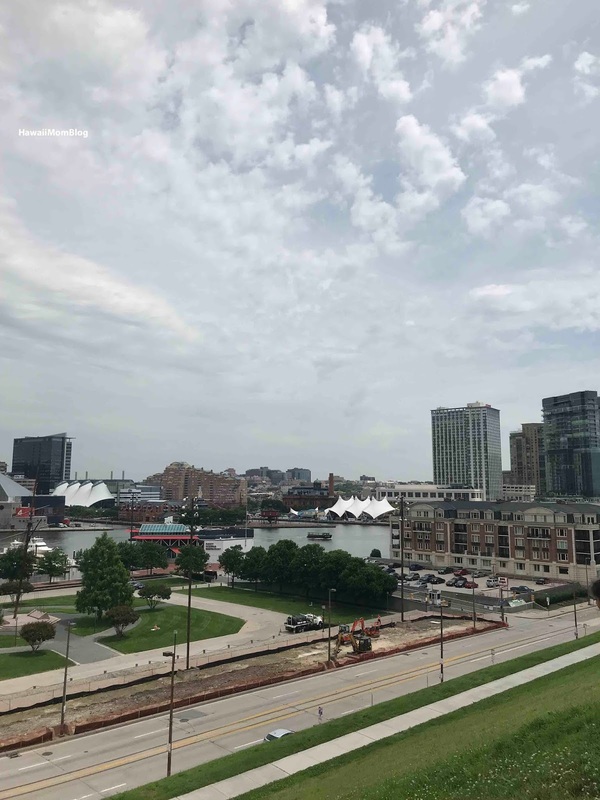 While in Baltimore, we made a stop at Federal Hill Park, where we got to take in magnificent views of the city, and the boys got to release some energy on the playground. 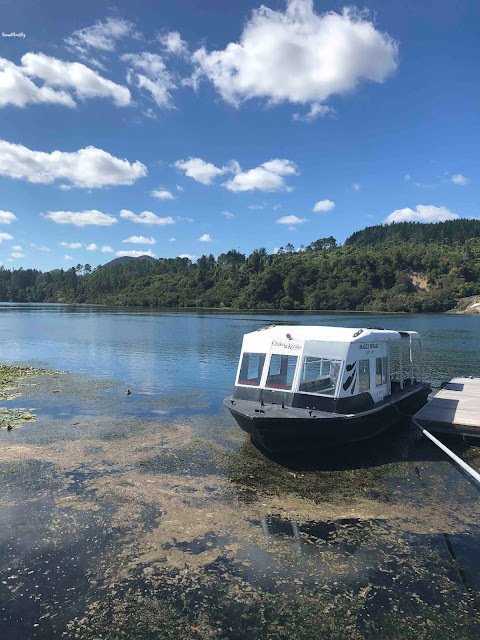 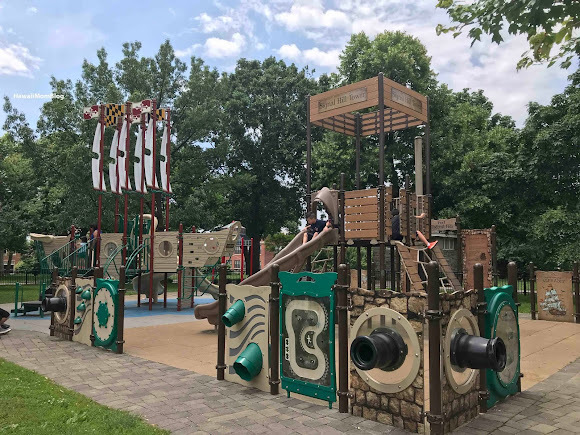 The area was once the spot of a tower that was built to watch for ships, and it also served as a military outpost during the War of 1812 and the Civil War. 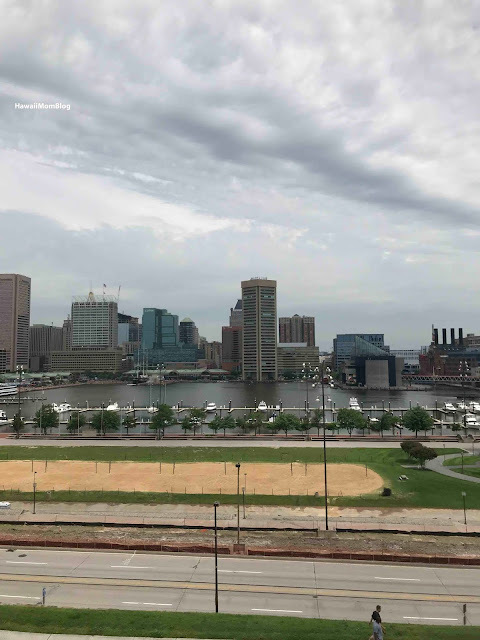 Cannons that were used during the Civil War can be found in the area. 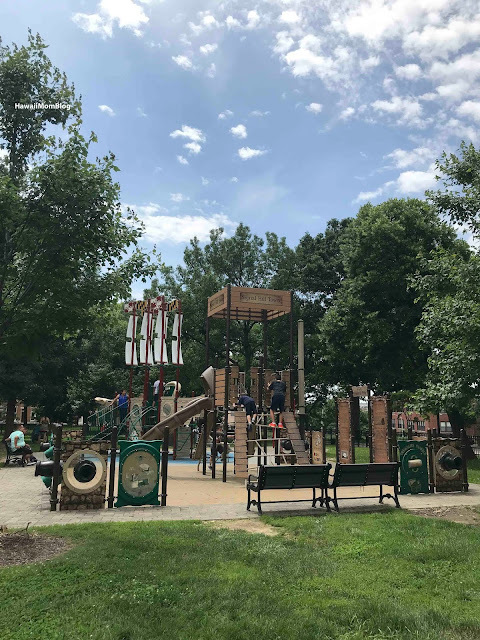 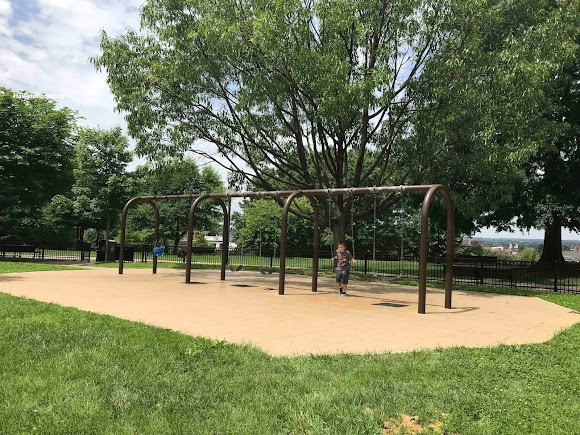 Now Federal Hill Park boasts a great playground, where kids can slide, swing, and climb, as well as numerous benches were people can relax and take in the view.